It was a total solar eclipse in the United States of America on Monday August 21st, 2017, this century’s first in the country. It started in oregano at 1:15 p.m. eastern time, with the skies getting dark just as the moon covered the sun, creating long shadows. 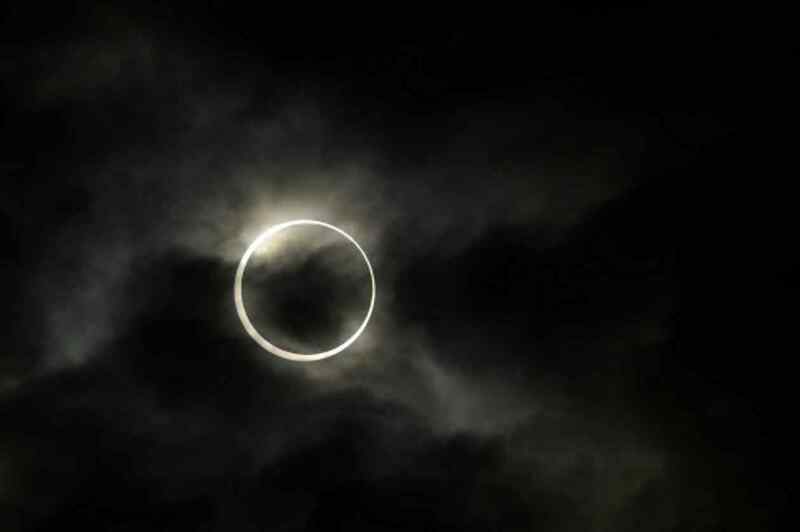 It ended at 3 P.M in South Carolina and was witnessed by thousands of Americans including the president of United States, Donald Trump and his wife Melanie Trump in Washington where the sun was 80% concealed by the moon. However, many people were unable to witness the path of totality because of the bad weather. In places like Homestead National Monument of America in Beatrice, Neb, people were not able to witness the totality and chanted “go away clouds”. A solar eclipse happens when the Moon crosses between Earth and the Sun and totally or partly conceals the Sun from Earth. A total solar eclipse occurs when the Moon’s apparent diameter is larger than the Sun’s, blocking all direct sunlight, turning day into darkness. This was the first total solar eclipse in the United States of America in 38 years. And was treated with enthusiasm and many people traveled for miles to witness the phenomena. Though some were disappointed due to the bad weather. In Carbondale, Ill., many scientists were gathered to witness and do research on the eclipse because of its long duration in the area, but were disappointed due to the bad weather and cloudy sky. People were however warned by the government to wear glasses or any kind of shades to avoid direct contact with the eclipse due to its potential bad effect on the eyesight.